Studio: Blumhouse Productions, QC Entertainment. Cast: Daniel Kaluuya (Chris), Allison Williams (Rose), Keith Stanfield, Bradley Whitford (Dean), Caleb Landry Jones, Catherine Keener (Missy), Betty Gabriel (Georgina), Marcus Henderson (Walter). Story: When a young African American man visits his white girlfriend’s family estate, he becomes ensnared in a more sinister real reason for the invitation. Now that Chris (Daniel Kaluuya) and his girlfriend, Rose (Allison Williams), have reached the meet-the-parents milestone of dating, she invites him for a weekend getaway upstate with Missy (Catherine Keener) and Dean (Bradley Whitford). At first, Chris reads the family’s overly accommodating behavior as nervous attempts to deal with their daughter’s interracial relationship, but as the weekend progresses, a series of increasingly disturbing discoveries lead him to a truth that he could have never imagined. Source: Shadow & Act, IMDB. 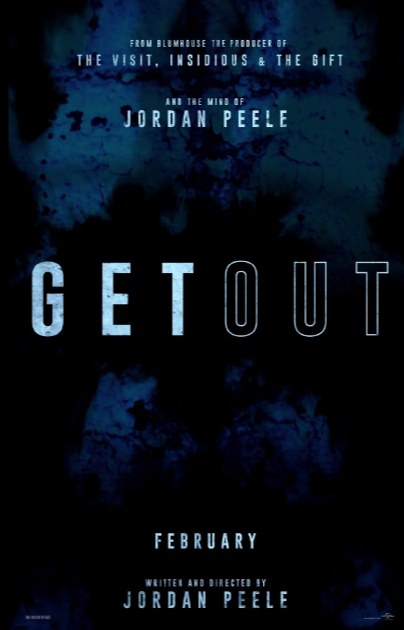 This entry was posted in Upcoming Films and tagged Horror, Jordan Peele by blackcinemaconnection. Bookmark the permalink.